Do not judge the feeling your child selects. 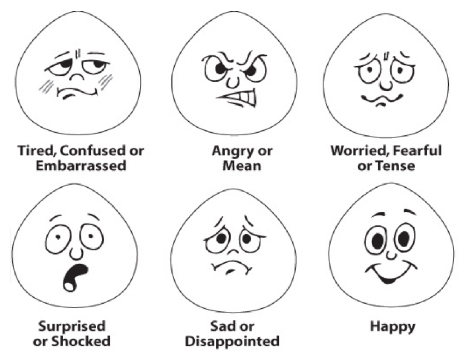 All humans have these emotions. God gives each of us a choice. It is our actions that matter. If a child can identify his or her feelings, it provides an opportunity to make a decision to choose the right thing to do. Without stopping to identify the feeling within us, we are controlled by our feelings and act without the opportunity to choose what God wants us to do. If you do not judge your child’s feelings, he/she will share his/her feelings with you. 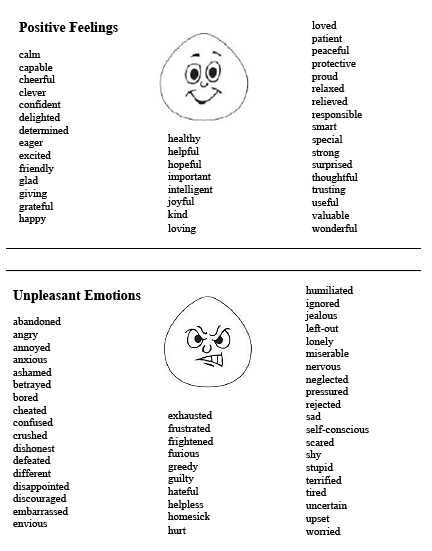 I didn’t realize how out of touch I was with my child’s feelings until we started using the feelings chart at the back of the Prayers from the Heart book. Now we always start here. Michelle, I find that the feeling charts at the back of the book also help me to identify how I’m feeling before I pray. Michelle, I find that the feeling charts also help me to identify how I’m feeling before I pray. Many times I am confused, and the charts even help me as an adult. Michelle, Even as an adult, when I am confused, and the charts help.